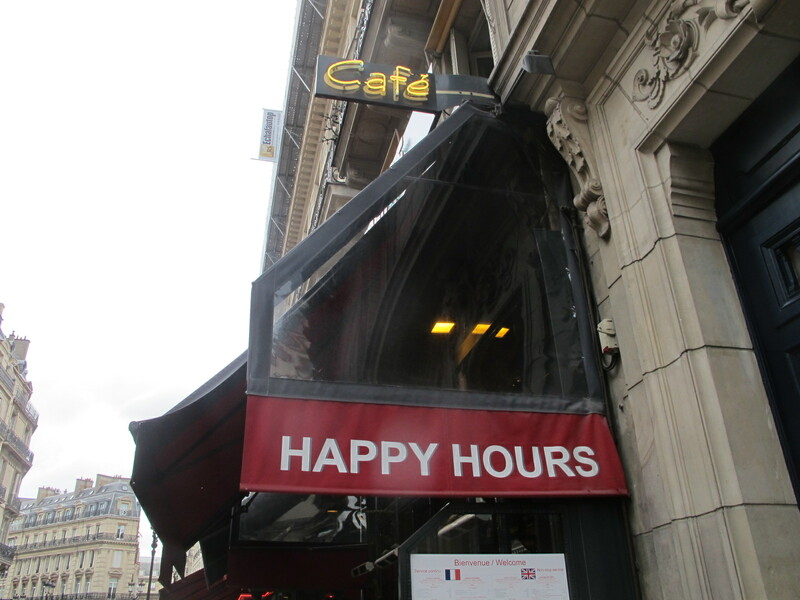 As if I needed another reason to love France: Restaurants and cafés here offer Happy Hours, because, really, who needs only one? This entry was posted in Food, Marketing & Advertising and tagged France, Happy Hours, Language, Paris, Personal. Bookmark the permalink.